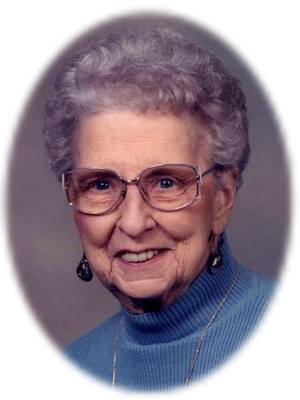 Obituary – VanArsdell, Ruth Grace (Huston) « Perry High School Alumni Association, Inc.
– daughter of Mr. and Mrs. R. J. Huston of south ninth street, plans to go to college and further her education in the study of home economics. Ruth was in the Red Hots, in the Senior Play and in the operatta. She collects souvenirs for a hobby. She was born in Perry in 1922 and has always lived here. Ruth Grace VanArsdell, 85, of Perry, Oklahoma was the daughter of Robert James and Grace Viola Krebs Huston. She was born January 9, 1922 in Perry, Oklahoma and died Sunday, December 16, 2007 in Somerville, Tennessee. A life-long resident of Noble County, Ruth was a 1939 graduate of Perry High School and studied two years at Oklahoma AM in Stillwater. She and Bruce Lee VanArsdell were married on March 8, 1952 in Oklahoma City, Oklahoma. Bruce preceded his wife in death on July 7, 1967. Ruth was retired from the Soil Conservation Service. She was a member of the First United Methodist Church in Perry and was a 50-year member of the Red Rock Order of Eastern Star. Funeral services will be at 10:00 a.m. Wednesday, December 19, 2007 in the Brown-Dugger Funeral Home Chapel in Perry. Rev. Ed Cook will officiate, assisted by Rev. Jim Voigt. Interment will be in Grace Hill Cemetery in Perry. Services are under the direction of Brown-Dugger Funeral Home of Perry. A family visitation will be from 6:00-8:00 p.m. Tuesday, December 18, 2007 at Brown-Dugger Funeral Home. Memorials may be made to the First United Methodist Church in care of Brown-Dugger Funeral Home, 1010 N. 7th Street, Perry, Oklahoma 73077. 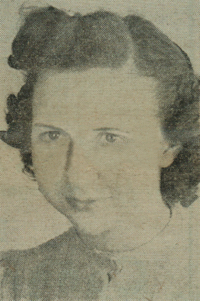 Ruth is survived by one daughter, Simone Belk, and her husband, Larry, of Somerville, Tennessee; two nephews, Bob Voigt, of Owasso, Oklahoma and Jim Voigt, of St. Joseph, Missouri; her life-long friend, Martha Louise Morgan Haralson, of Bowie, Texas; and her loving caregivers, Barbara Harris, of Holly Springs, Mississippi and Mary Prysock, of Bolivar, Tennessee. In addition to her husband, Bruce, she was preceded in death by her parents, Robert and Grace Huston, and one sister, Helen Voigt.